Lawyers engaged in the M&A practice will inevitably be confronted with cross-border transactions and will have to appropriately counsel their clients in the variable aspects of the law. This book, based on an international conference held by the Law Centre for European and International Cooperation (R.I.Z. 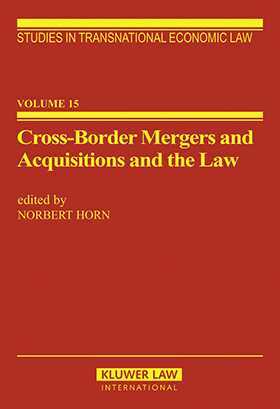 ), provides a comprehensive exploration of the legal implications of a cross-border merger or acquisition. Bank Mergers and Bank Supervisory Law. In addition to these topics, case studies analyzing the Daimler/Chrysler Merger and the British Petroleum/Amoco Merger have been included to illustrate the impact that different structures can have on the success of a business combination.